​and six finger holes, as well as two to five open holes(tuning holes) toward the end. A special aperture covered with a reed membrane gives the instrument its characteristic sound. 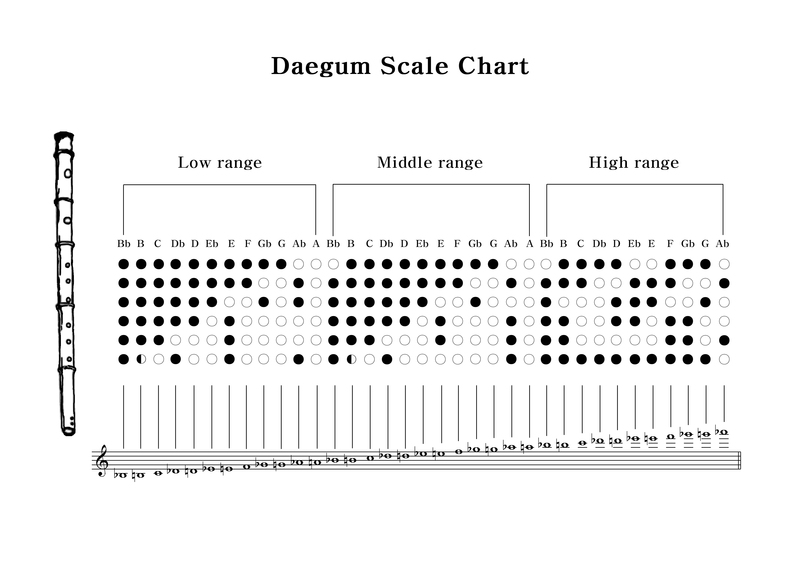 The Daegeum is used as an ensemble or solo instrument in a broad range of genres, from court music to shaman and folk music.